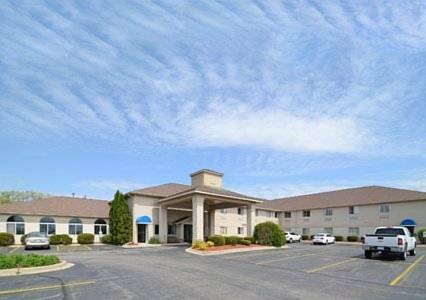 The Quality Inn hotel in Woodstock, IL is located in the beautiful Woodstock historical district just minutes from shopping and restaurants. Centegra Hospital, McHenry County College and Illinois Railway Museum are also in the area. All guest rooms offer microwaves, refrigerators, irons, ironing boards, hair dryers, free wireless high-speed Internet access and coffee makers. Free hot breakfast is available every morning. Enjoy our indoor heated pool.